With the first day of our centers overhaul a success, both Rebecca and I felt empowered to tackle day two and three! (yippy!!!) Our students had a completely different reaction to centers using this new system. They were more engaged and had a clearer understand that what they were working directly impacted their reading and writing. The first day, and most of the second, we focused on reading centers and what they should look like, sound like, and feel like. We each made sure to refer back to our anchor charts that each of our classes had created the day before. We also would periodically have students gather on our rugs for a check in to see how well students were doing with the new structure of centers. 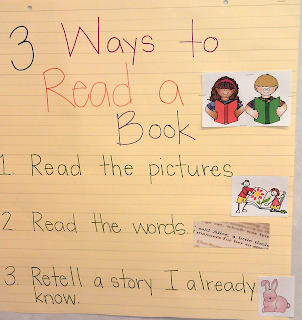 One thing that was very powerful was discussing and modeling the three ways to read a book. 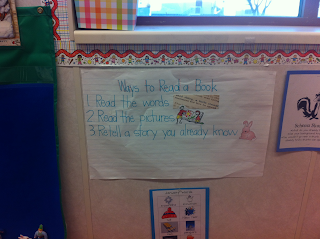 After going through each of the three ways, we each had our students practice reading a book. It was amazing to see all of our kiddos engaged in reading - whether pictures, words or retelling - a book of their choice. Even our struggling readers were actively engaged! Amazing! 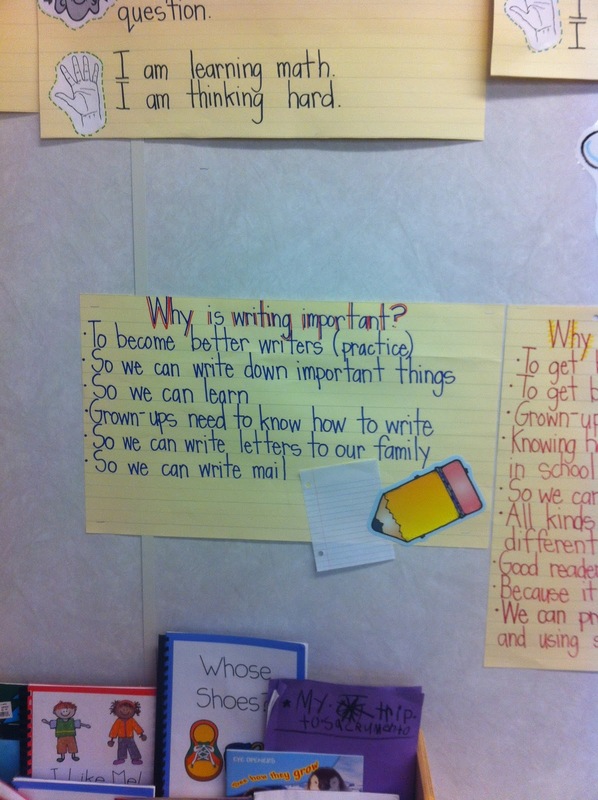 When introducing the writing centers, we gathered our students onto our rugs to create a new anchor chart focused on why writing is important. 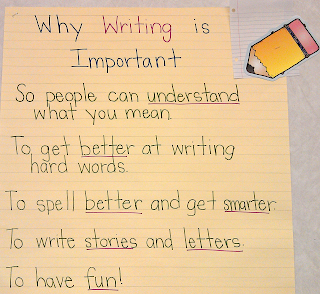 It is wonderful to hear the students' perception about writing and what it means to them. By using this brainstorming session and anchor chart creation, our students are able to more successfully see the purpose of centers. 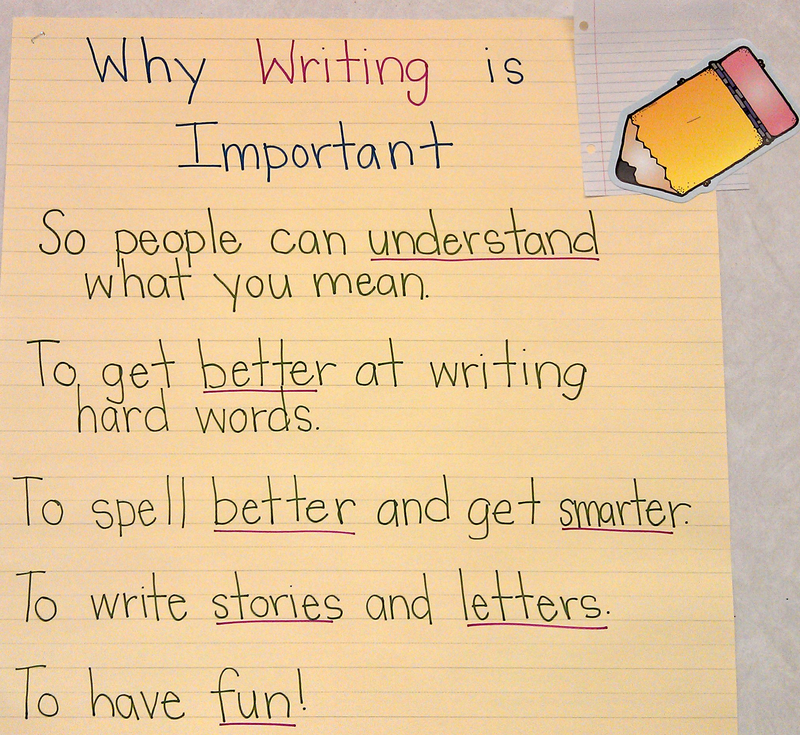 They are also developing a sense of empowerment and ownership over their own learning. Isn't that what it is all about?! 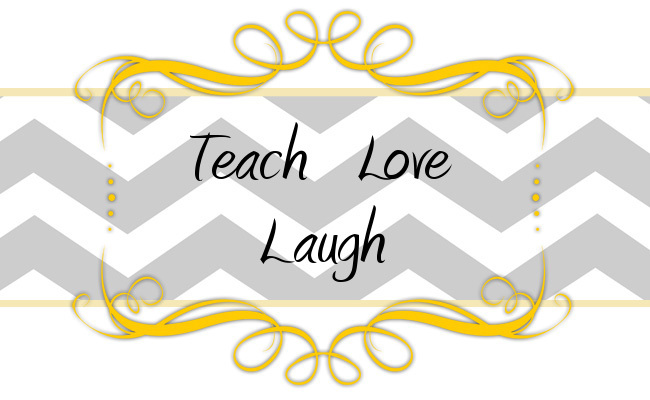 We can't wait to see what happens when we reteach our word work centers and have students choosing between all three categories! Here's to tomorrow!